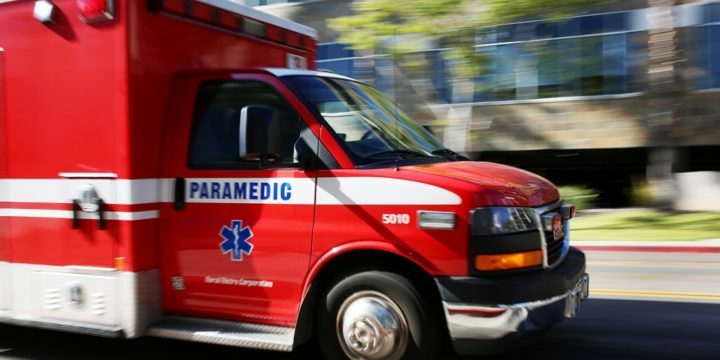 A woman suffered life-threatening injuries when she was struck by a pickup while attempting to cross a San Ysidro street late Tuesday afternoon. The accident occurred shortly before 5 p.m. near the intersection of East San Ysidro Boulevard and Olive Drive, San Diego Police Officer John Buttle said. A 29-year-old man was driving a Toyota pickup southbound on Olive Drive when he came to a stop at the light, then began to turn right onto westbound East San Ysidro Boulevard, Buttle said. As the Toyota driver was turning, a 50-year-old woman stepped off the curb to cross southbound on Olive Drive and was struck by the pickup, he said. The victim hit her head on the pavement and was taken to a local hospital with injuries that were considered life-threatening, Buttle said. The Toyota driver remained at the scene and cooperated with officers, Buttle said, adding that intoxication was not believed to have been a factor in the crash.